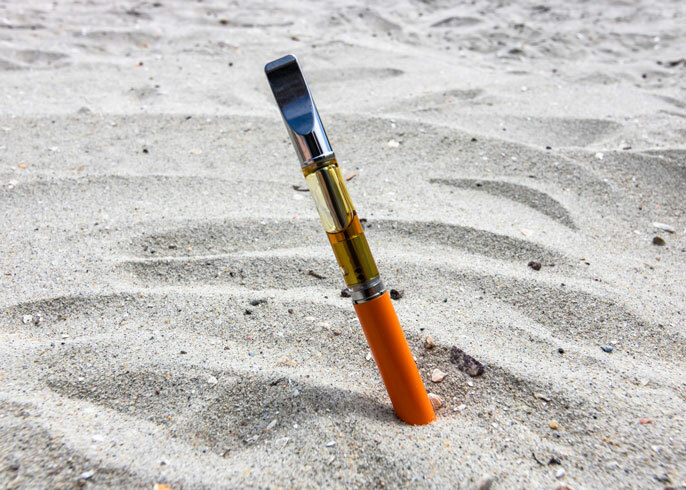 A vape pen stuck in the sand. Volunteers pick up cigarette butts at Point Pleasant Beach, New Jersey, on Oct. 12, 2012. This article was written by Yogi H. Hendlin, postdoctoral research fellow in public health policy, UCSF. This article is republished from The Conversation under a Creative Commons license. Read the original article here.